The TSA, or the Transportation Security Administration, is a government organization that works to protect the nation's transportation systems. Formed immediately following the September 11th attacks in 2001, TSA is a part of the Department of Homeland Security, employing over 50,000 people to keep U.S. highways, railroads, buses, mass transit systems, seaports, and airports safe for travelers. The mission statement of the TSA is to "protect the nation's transportation systems to ensure freedom of movement for people and commerce," and it does so by stationing TSA agents at major transportation hubs like airports and train depots. While going through the security checkpoints at airports or on international train trips may seem like a hassle, these routine checks are meant to keep Americans safe from terrorist attacks, bomb threats, and hazardous luggage. 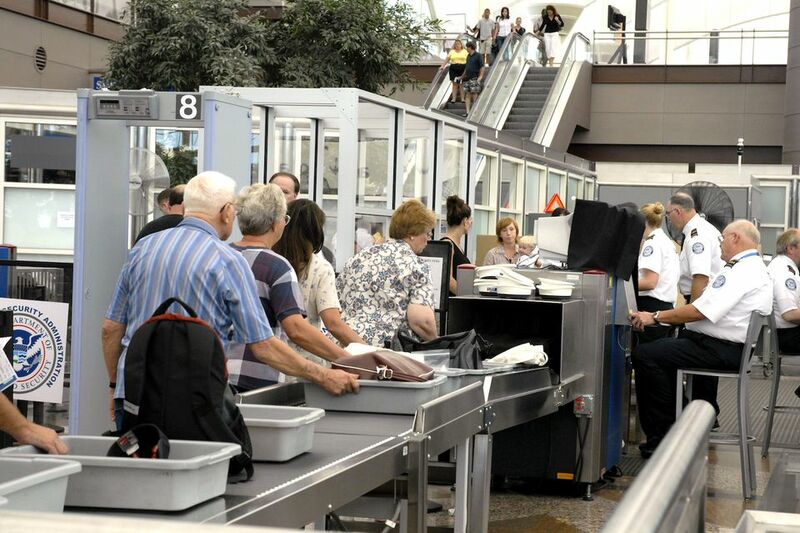 Knowing how to interact with TSA agents and what to expect when going through a security checkpoint, then, will greatly ease your next run-in with these officers. Regular travelers know that getting through the Transportation Security Administration checkpoint requires an accepted government-issued photo ID and a valid boarding pass. ​The TSA accepts 14 different photo ID types for passing through the checkpoint, including drivers licenses, passports, trusted traveler cards, and permanent resident cards—but temporary driver's permits are not accepted. If you lose your photo ID or it gets stolen while you're traveling, travelers may still be able to pass through the TSA checkpoint by filling out an identification form and providing additional personal information to be cleared to fly. However, those travelers who are cleared through this alternate method may be subject to additional screening at the checkpoint. If a traveler's identity can't be confirmed, they will not get past the checkpoint. Every traveler knows the Transportation Security Administration is primarily in charge of security at airports across the United States; however, at 18 American airports, the TSA contracts passenger screening to private companies like Covenant Aviation Security at San Francisco International Airport. Keep in mind that TSA agents are not law enforcement officers and do not have the authority to make arrests, but they can take certain action against unruly passengers or those in violation of TSA guidelines for domestic and international travel including calling in law enforcement officers or even FBI agents to make arrests of those in possession of prohibited items. A TSA agent can ask travelers to stop and wait for a law enforcement officer to arrive on site, and they can also conduct other searches within the secure area of airports, including random baggage checks while boarding an airplane and testing liquids at the checkpoint. Travelers who discover lost or stolen items from their luggage, or have other unpleasant interactions with security agents, can file a complaint with the agency responsible for passenger screening and security. The TSA provides a list of contact information for each of the companies on their website. In the worst case scenario, every traveler can contact the airport's transportation security manager or assistant federal security director with their grievances. Since 2007, full-body scanners began supplementing metal detectors and patdowns at TSA checkpoints across the United States (and in airports around the world), frustrating passengers but greatly increasing processing speeds. The Transportation Security Administration now uses this advanced imaging technology to screen 99 percent of travelers across the country every day, but you don't have to go through these scanners if you don't want to and can instead opt for an alternative screening option. Instead of passing through body scanning machines, travelers can request that a TSA perform other inspection options, which will most likely be in the form of a full-body pat down as well as a metal detector screening. In addition, travelers can sign up for a trusted traveler ​program, such as TSA PreCheck or Global Entry, to gain a trusted traveler number and walk through the security checkpoint without additional screenings. Transportation Security Administration officers' uniforms have epaulet stripes on the sleeves which denote the rank of the agent—one shoulder stripe denotes a Transportation Security Officer (TSO), two stripes denote a TSO lead, and three stripes denote a TSO supervisor. Lead and supervisor TSOs have additional resources to address concerns for passengers who don't find the right answers from regular TSOs, so if you have a problem with one of the TSOs at the security checkpoint, ask to speak to a lead or supervisor. If this doesn't work, travelers can also appeal the TSO's decision or action in front of the Transportation Security Manager or the Assistant Federal Security Director for the airport. By understanding the inner workings of the Transportation Security Administration, travelers can best ensure smooth travel through every step of their airport experience. However, the best advice to get through security with ease is to follow the rules and treat TSA agents in a professional and courteous manner.